Everything changed the day Finn found his father in a pool of blood, bludgeoned to death. His dull, dreary life is turned upside down as he becomes the prime suspect. How can he clear his name and find out who hated his dad enough to kill him? 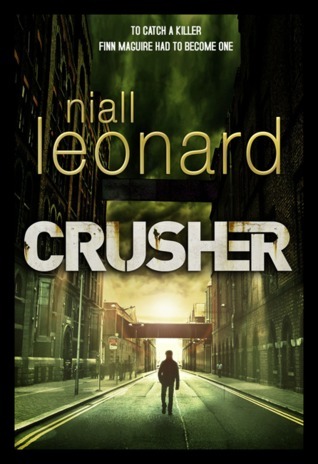 Crusher is a fast paced crime thriller which keeps you wanting to read more and more and not put the book down until you get to the end as you need to know what happens next. Finn McGuire has had it tough. His mother left, he's been kicked out of school, dabbled with drugs, works in a greasy fast food chain and one night when he comes home he finds the only father he's ever known dead in a pool of his own blood and to make it all worse he is considered to be the prime suspect in the case. 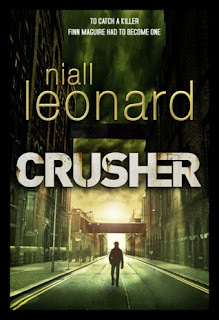 Crusher is definitely aimed at the older Young Adult. It's gritty and doesn't hold back in the action that Finn has to deal with especially when facing off with the local crime mafia boss and his cronies. The writing style itself is very pacey which means you get sucked in and need to read page after page to find out what happens next. The storyline itself had a few clever twists thrown in which kept me guessing. I also liked that it had a male protagonist and I found it really easy to warm to him quickly. All in all an engaging read which I enjoyed.